. Discuss good and challenging experiences. However, when we add our catering provision to the wider FM services, it is very impressive to see what is achieved within an organisation during any given day. 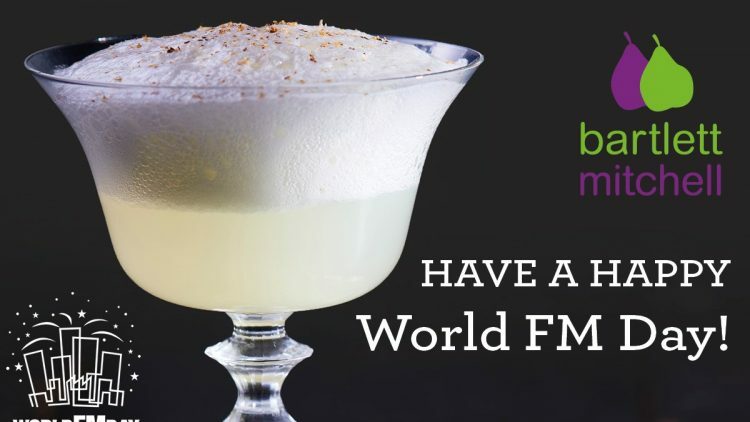 That’s why we should all celebrate World FM Day, frankly most organisations wouldn’t function without their fabulous FM teams. The 2017 theme is ‘Enabling Positive Experiences’. Our teams will be supporting local clients in raising awareness of our incredible industry with the users of buildings. Many of whom may not be aware of the magnitude of activities that take place each day to enable them to work and have a positive experience. Hopefully your local, and regional FM organisations and governing bodies including IFMA, Global FM, BIFM etc (other FM organisations do exist!) will be celebrating the day. We will be joining BIFM at http://www.bifm.org.uk/bifm/events/worldfmday. I would particularly encourage you to support and enjoy the 60-minute live broadcast from FM World which takes place today (Wednesday 17 May) at 12:00pm BST and streamed live on the FM World website via desktop or mobile device.